Yesterday was the close of Fermanagh Creative Writing Group’s Autumn Kickoff week. And on a rainy, windy Sunday what better to do than gather with a group of writers (and a good few listeners) to share stories and poems? The group hosted our first Open Mic afternoon and members of FCWG as well as other local writers met in the Barrack Storeroom at Enniskillen Castle Museum to read our work. There were lots of surprises and fun as well as readings that made the listener pause and think. I enjoyed being part of it and am delighted that we had enthusiastic writers and an appreciative audience. For me, as a writer who is especially interested in historical fiction, it was apt that our setting was a museum during the European Heritage Open Days. You’ll find more about the afternoon at the FCWG website. 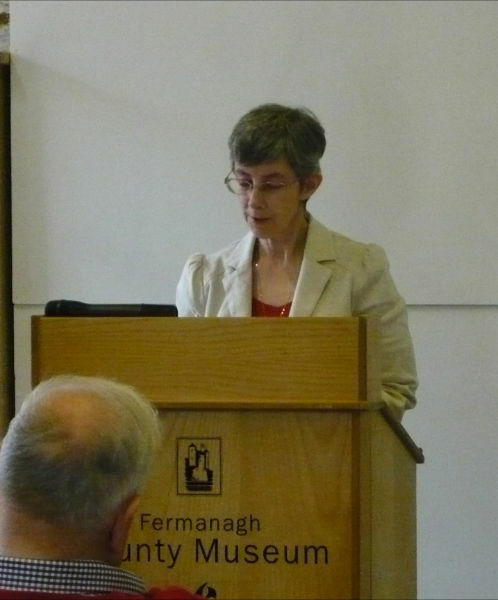 This entry was posted in September 2011 and tagged author readings, Dianne Trimble, Enniskillen Castle Museum, European Heritage Open Days, Fermanagh Creative Writing Group. Bookmark the permalink.